How Can You Keep Your New Year's Resolution with Isagenix? 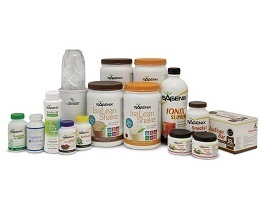 IsaTrim NZ is an independent associate of Isagenix. How Can You Keep Your New Year’s Resolution? During your New Year’s celebrations, you may – as many do – choose one or a number of New Year’s resolutions to help you be a better, brighter and more positive you in 2017. The trick is, we all know, actually following through with those resolutions. We are here to give you some tips on how to keep your New Year’s resolutions! Get social! Involve your family, friends and social following in your New Year’s resolutions. Have them encourage you and remind you of your ultimate goals and the ways in which you’re trying to improve your overall condition. Participate in a group or social goals! If there are more than one voice and the person working towards the common good, there’s far more chance to succeed! A prime example of a group participating together to achieve a common goal or – you could even say – a social movement towards healthier lifestyles for all is CleANZe Day. This is a program being put on by Isagenix. It’s a brand new traditionally recognised day that started this year on January 4th, with several more earmarked for this year. Isagenix CleANZe Day sets you on the best track to help you keep the very commonly chosen new year’s resolution of getting fit and living a healthy lifestyle. Even without physical activity, you can achieve the resolution or goal of being healthier if you can develop a healthy eating habit. I’m not talking about eating a banana or drinking a smoothie every now and again, because they may not have all the nutrients your body needs to ensure the right amount of nutrients – Luckily, there are products and programs to help attain and maintain a healthy diet. The most popular of these are the Isagenix 30 Day Cleansing Program and the Isagenix President’s Pak. The thing that most people don’t realise when trying to diet is that if you’re not getting the proper balance of nutrients and calories, you’ll struggle tremendously trying to get to where you want to be. Most people will likely be happy to leave behind the lifestyle and bad diet they’ve had this previous year, and luckily the programs that Isagenix offers are diverse and flexible for different lifestyles. Whether you have time to work out or not doesn’t matter because the diet alone will be enough to get you to your admirable goals. One of the unique qualities that Isagenix has to offer is they don’t just want to sell their products; they want to promote a healthy lifestyle that is affordable and fulfills expectations of buyers and provide the best possible overall outcome. CleANZe Day also provides the community and social support that is needed to keep you motivated and on the ball with your health. It’s about time you took your life into your hands and treated yourself to products that benefit you. If you have indulged over the Christmas and New Year’s holidays, this could be just what you need to get back on your feet, feeling like yourself again – possibly even better. This program is designed to serve your body daily with all the important factors for your eating habits. CleANZe Day is about improving your attitude towards yourself, and once you’re comfortable in your skin, you can really experience all the other extraordinary things that life has to offer you. It’s all about your mentality when trying to obtain any goal. Some people may feel as if they need to ‘diet,’ is a word that often tags along with a negative outlook. We prefer to use the term ‘eating habits’ when talking about dieting because everybody has to eat. You wouldn’t expect to get very far in a car with no gas, would you? Food is fuel for the human body. Ensuring you eat the right food is crucial to a healthier lifestyle, and the greatest benefit that you get from eating healthy is the happy feeling that comes from it. For some people, this may be a touchy subject – whether it be that they feel ashamed, or maybe just insecure about the system they’ve been using to fuel their bodies in the past. They aren’t the only ones that feel this way: even models, confident and or outright arrogant people have their insecurities – just like everyone else. It’s a fact that when you’re healthy, you have a more positive view on things, so I highly recommend taking the CleANZe Day challenge in 2017 and become the better version of yourself you deserve. If you feel like this is something you’d like to look into or maybe even try for yourself, the Isagenix company is a trusted group devoted to giving you the best selection of programs that are keen on promoting positive diets and how to achieve such a healthy lifestyle. A great thing about trusting the Isagenix company is that they offer a 30-day money-back guarantee to ensure your complete satisfaction. Nobody can make your year a success besides you. Weight loss with Isagenix is safe, effective and long-lasting. We stock the full range of New Zealand products that will help you look and feel fantastic! Our popular weight programs come with unlimited support and coaching so you'll get the best possible results. Nutritional cleansing is popular amongst people that want to lose extra weight, gym junkies looking to improve their results, and for people who want to stay healthy and energised. Our program makes it easy to cleanse your body and obtain a number of amazing health benefits. IsaTrim provides quality New Zealand Isagenix products that can make your workouts more effective and get you the results you deserve. The NEW energy range includes healthy energy shots, the world's finest quality whey protein and more! 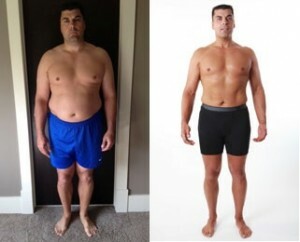 With each passing year, losing and keeping off weight becomes more difficult, but you have help with Isagenix. The NEW Healthy Ageing Premium Pack is ideal for those in their 50s and above who want to lose excess fat, increase their energy levels and improve their inner health. Copyright 2019 IsaTrim. All Rights Reserved.